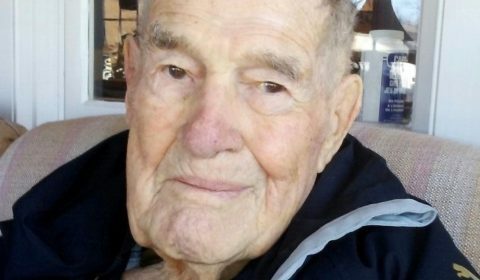 How about John Ayling, 100, for senior of the year? Gravenhurst is looking for a senior of the year. You can still apply, along with those still in town. Town council is looking to the community, local service and community groups for potential nominees for the Province of Ontario’s Senior of the Year Award program. This annual award, established in 1994, allows municipalities in Ontario to honour one outstanding local senior. The nominee must be over the age of 65 and have enriched the social, cultural or civic life of his or her community. Seniors who qualify for this award may have contributed to any number of fields such as the arts, literature, community service, volunteering, education, environment, fitness, and humanitarian activities. To be considered by council, nominations must be received by the municipality by Tuesday April 10, 2018 at noon. Council will put forth their recommendation on April 17. A certificate will be provided by the Ontario Government and presented to the honourary recipient at a future event by Mayor Donaldson and Council. To nominate or be considered for this award please submit name of nominee, contact information of nominee and a summary highlighting their contributions by email to kayla.thibeault@gravenhurst.ca or entries may be hand delivered to Gravenhurst Municipal Office at 3-5 Pineridge Gate, Gravenhurst, C/O Kayla Thibeault, town clerk.